Mobile apps are the latest trend in hip, modern technologies and a popular direction for large companies and young startups alike. Apps can be easily downloaded and installed by individual users across the world. Portable, widely available, interoperable, and (mostly) free, they are immensely popular across a wide spectrum of customers. 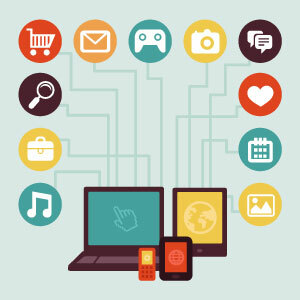 There are many different kinds of apps, apps marketplaces and app stores: mobile games apps, apps that serve as extensions of websites for mobile devices, apps that link to and control devices. Apps can provide an entire service by themselves, present a new, portable form of a business’s existing services, or be part of a physical product. Mobile messaging apps users now number in the hundreds of millions around the globe due to ease of use and a multitude of free service offerings. Whatsapp (based in Mountain View, CA) has 450 million monthly users, with Line (Japan, 350 million registered users) and WeChat (Shenzhen, China, 272 million monthly users) not far behind. Many mobile messaging apps are also major players in the mobile game apps arena. You can use these mobile messaging apps to send and receive text messages, record and send audio files, video chat, send photos, and even purchase sticker, music, and game add-ons. Other popular mobile apps include free hotel-booking and last minute hotel-booking apps for making reservations. Hotel booking mobile apps are available on Android and iOS, a few on Windows Phone or Blackberry. No matter what their purpose, mobile apps are especially convenient in that they can be easily distributed to customers worldwide, as long as their interface is completely and correctly translated. We at Monterey Language Services have the technical capabilities to do so, using our global localization platform. 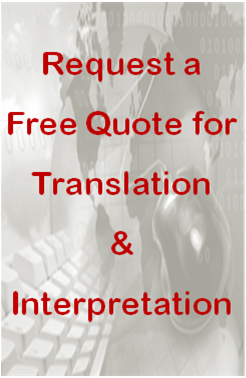 Unlike other translation companies, we can handle localizing the entire app, its API, system and interface. We ensure that the mobile app and all its functions are recreated in the target language of your choice. All you have to do is sit back and have fun with your mobile app! Monterey Language Services takes care of the rest.